This gorgeous pool home in SE Cape is ready for you. Sold completely turnkey. What you see is what you get. Home has many features. Sits on a over sized corner lot. Pool has a solar heater. Home is on city water and sewer and all assessments are paid. 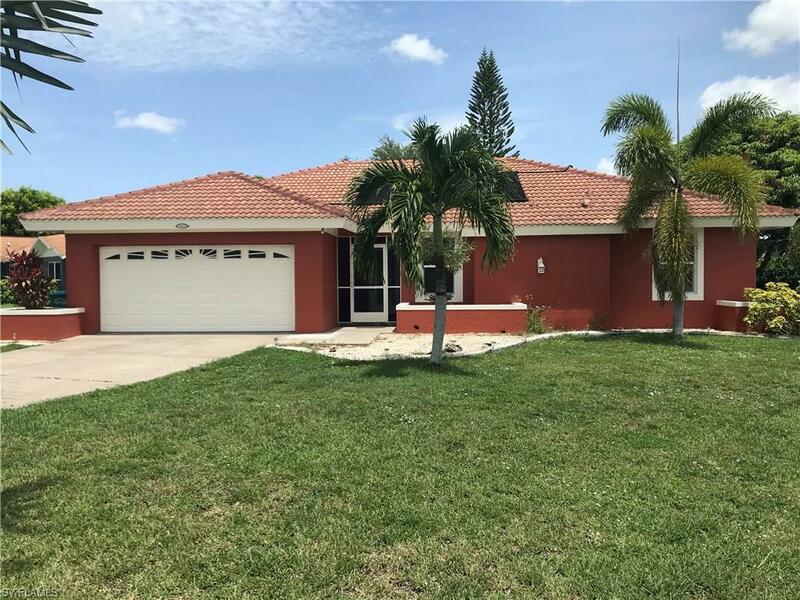 Interior features include hurricane windows, new granite in guest bathroom, new tiled shower, separate living and family rooms, upgraded appliances, inside laundry, gorgeous ceramic tile throughout home, granite counter-tops in master bath and much more. New barrel tiled roof was put on in 2006, outside was freshly painted in the last year, irrigation system, pool has a waterfall. re plumbed, and new hot water heater. Home is gorgeous and is move in ready.